The Cubs and the Phillies played a 20-inning marathon on August 24, 1905. 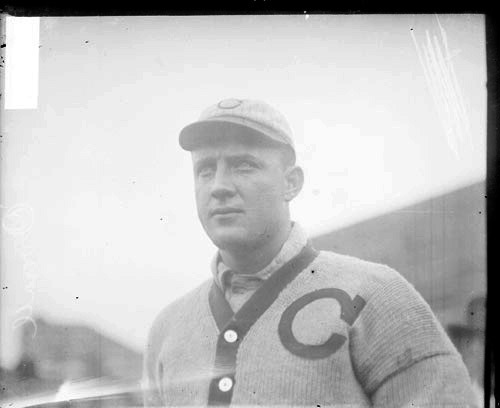 Ed Reulbach of the Cubs pitched a complete game for Chicago as they defeated Tully Sparks and the Phillies, 2-1, in Philadelphia. Oh, what glorious days those must have been, when real men could hurl 20 innings and nobody knew what a pitch count was. I’m impressed his arm didn’t fall off! Mine would’ve been in the dirt, writhing helplessly from all that throwing. Oh no, Reulbach was on a pitch limit–it’s just that the limit was 275 pitches.